These rustic country wedding programs are vertical 4" x 9" glossy finish programs with printing on both the front and the back. 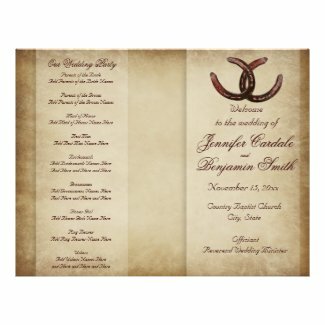 Just add your wedding program wording in the template fields or use the "Customize It" button on the product page to add your own text. Discount prices.